Product prices and availability are accurate as of 2019-04-22 00:19:10 UTC and are subject to change. Any price and availability information displayed on http://www.amazon.com/ at the time of purchase will apply to the purchase of this product. Displaying personal photos and mementos adds warmth and give your home a unique personality. Add some sparkle with our gold, silver, champagne or rose gold photo frames. Constructed of a high-quality MDF with a lustrous finish, these frames will enhance any decor in your home or office. 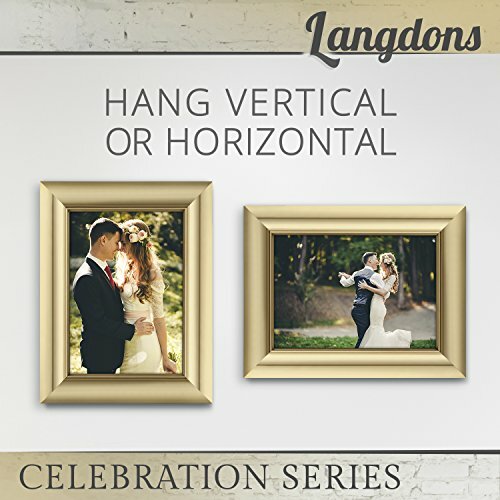 Choose a single or bundle pack from the Langdon's Celebration Collection. Size options include popular 4x6 and 5x7 snapshot sizes, and 8x10 and 11x14 for larger photos. All frames include attached hardware for wall mounting, either horizontally or vertically. 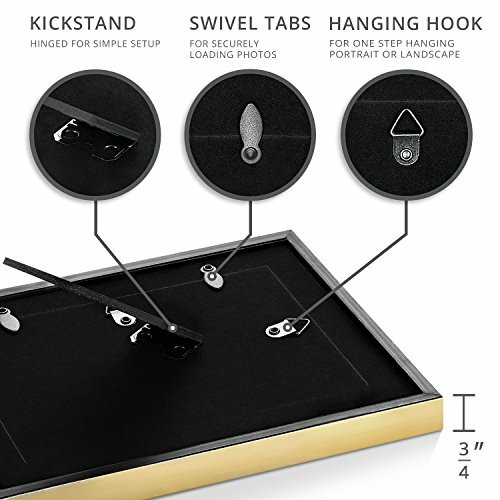 The 4x6, 5x7, 8x10, and 11x14 comes with an adjustable kickstand fin on the back, to set on a tabletop, desk, or shelf. 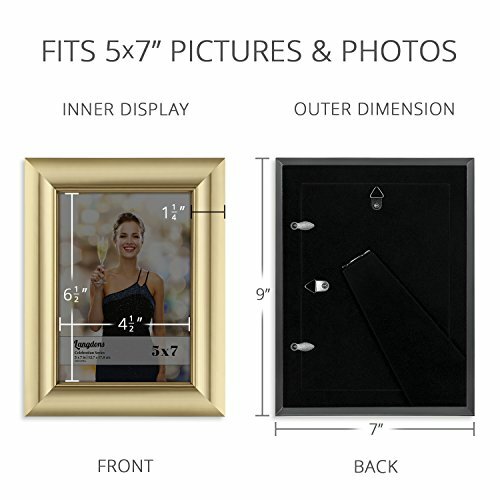 Get mixed sizes to create a photo gallery grouping in a hallway or along a staircase, or set the frames on a photo ledge, accent table, or piano top. Showcase those special events in your life by filling the frames with awards and certificates, souvenirs such as ticket stubs, programs, postcards, and children's artwork. 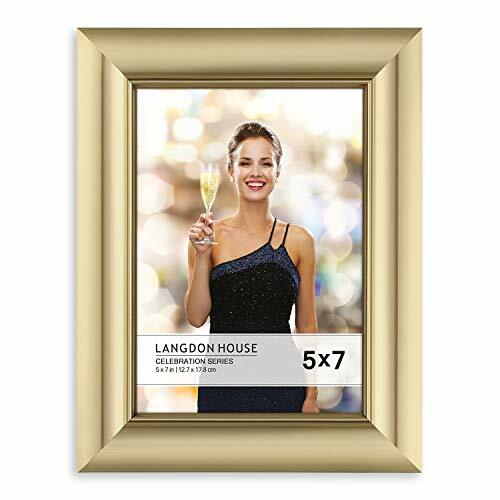 This set of Langdon's Celebration frames is a thoughtful gift for any special occasion or person including a wedding, anniversary, Christmas, best friend's birthday, grandma, Mother's Day, Valentine's Day, baby shower, family collage, or Father's Day.